Curriculum and book reviews, faith, homeschooling and more! OH! What a fun book to review. Seriously, just a hoot. Learning about Beavers and seeing all the remarkable things about them. Just a delightful read. 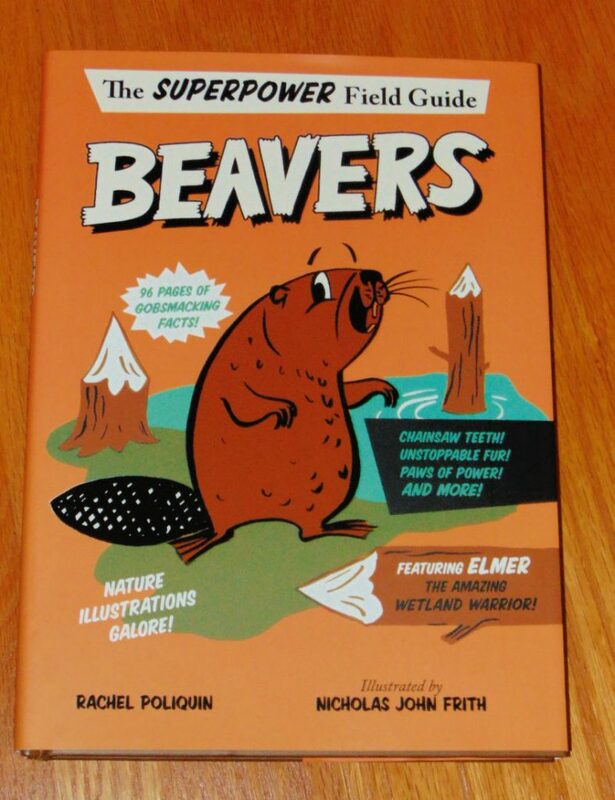 The book: The Superpower Field Guide: Beavers. 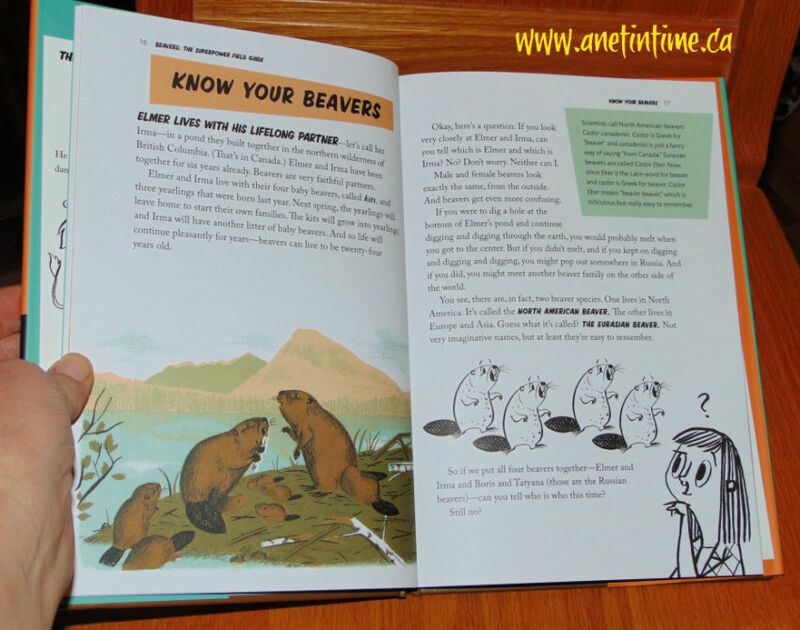 The first book in a new series, Beavers is a humorous, informative, and highly illustrated field guide written for middle-schoolers. Take a look at an unsuspecting animal hero The Beaver. Humour written around highly informative text. Elmer the beaver has 10 superpowers which we are given in lots of detail. Some of his powers are his unstoppable fur, his ever-toiling tail, and his winter survival skills. 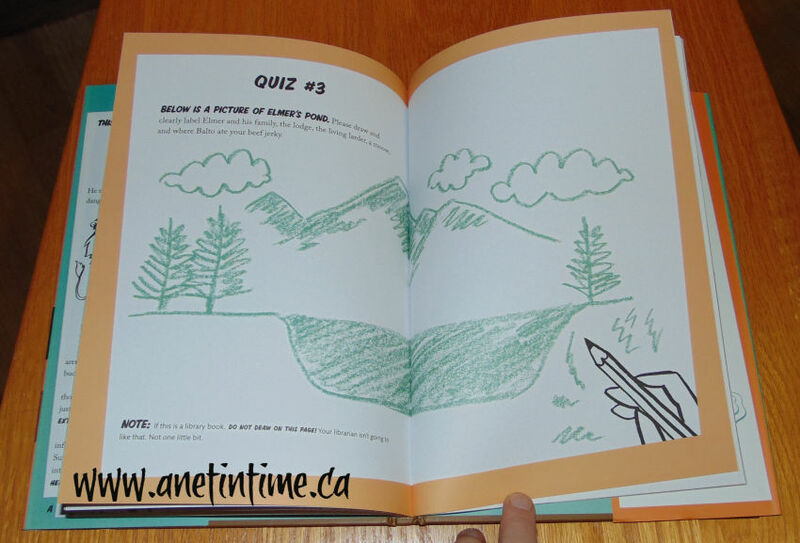 Each page shows colour in the illustrations. I was delighted to see the colours suit a book about beavers. We don’t find pinks and yellows, but rather the blues, greens and browns that would naturally pervade a beavers habitat. Every so often you’ll come across a quiz, making sure the reader is paying attention for after all, the goal is to learn about an amazing animal. So pay attention and rock those quizzes! 🙂 They aren’t hard, but they do cover the super power at hand. If you have a love of Canada, an interest in beavers, or perhaps you are studying mammals… check out Beavers. 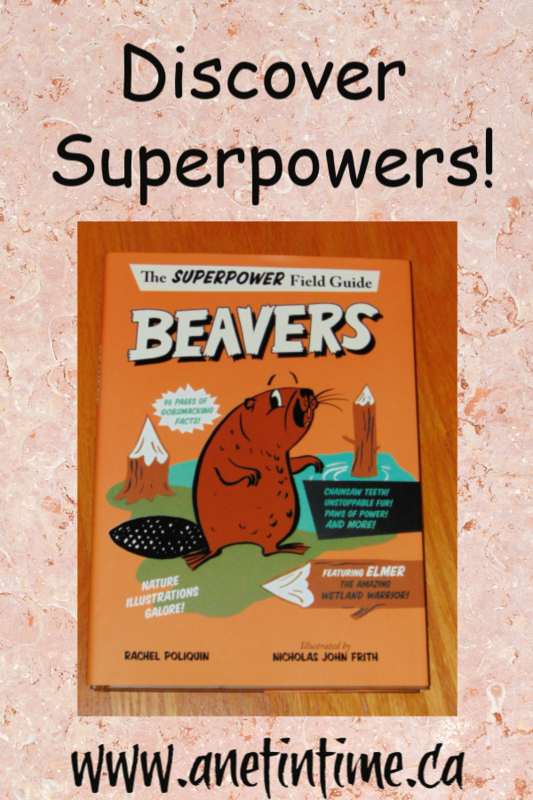 Learn their superpowers and be amazed, because beavers are really interesting critters! HEY! Did you know that sharks never sleep? I know… weird eh? But seriously, sharks need to keep moving in order to breathe. This is one of many fascinating facts about sharks that you will learn in Sharks Never Sleep. 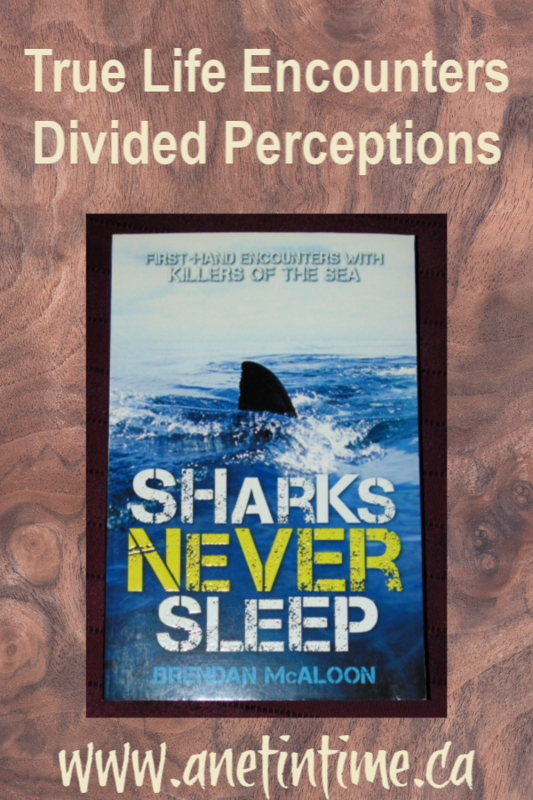 You will also learn about real life shark attacks, how people are trying to protect both sharks and people and the varied opinions about sharks that abound. A Gripping Investigation into our complex relationship of fear and fascination with sharks. In an attempt combat fear with facts, author Brendon McAloon, takes us on a journey around the world in search of true stories of extraordinary first-hand encounters with these oceanic predators. Travel from Australia to the United States, South Africa and beyond. Meet with scientists, conservationists, shark-attack survivors, shark lovers and shark haters. Meet fear with fascination. Four parts make up the contents of this tome. 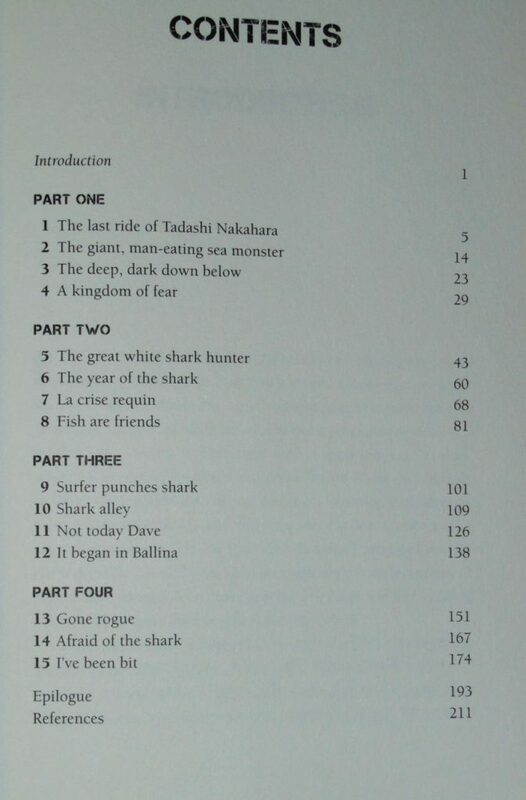 Part one focuses on shark attacks. Fear rides these pages. Part two presents us with not only the shark haters, but those who love sharks as well. I was delighted to see the Shark Lady profiled. Part three profiles encounters that people had with shark. 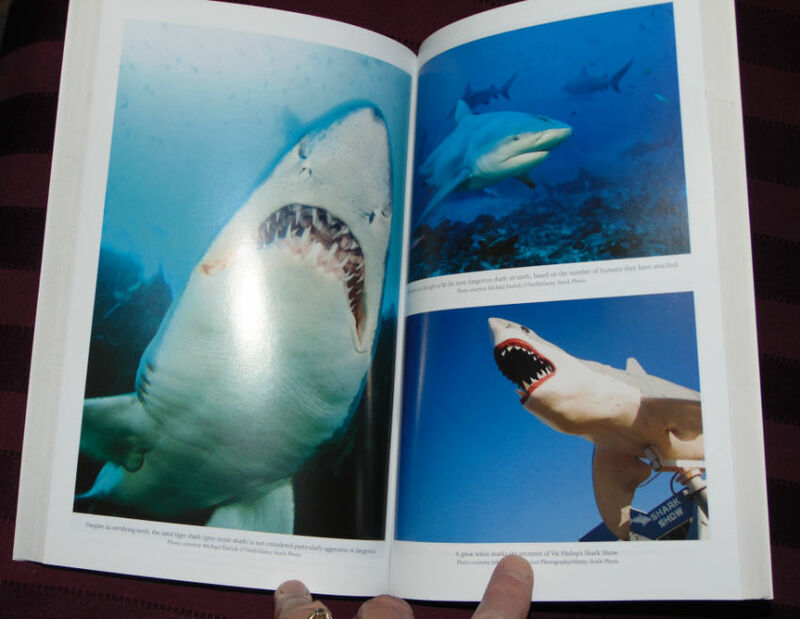 This section also contains photos pertaining to details given in this book. Part four helps us to further understand there are no easy answers. How does one protect a fierce predator, and yet defend those who use the waters those predators live in? No easy answers. Culling, Shark Nets, Hunting bans, Beach closures, and Monitoring sharks. More research is needed to determine what will work best. Mr. McAloon presents us with many cases of shark attacks, show-casing well the need to more study into the whys of increased shark attacks. He helps us to understand why there is such a divide between protecting these apex predators and simply culling them. He shows well why the divide exists… if only because there is no simple answer to “the shark problem” at waterfronts throughout the world. Human activity doesn’t help either. 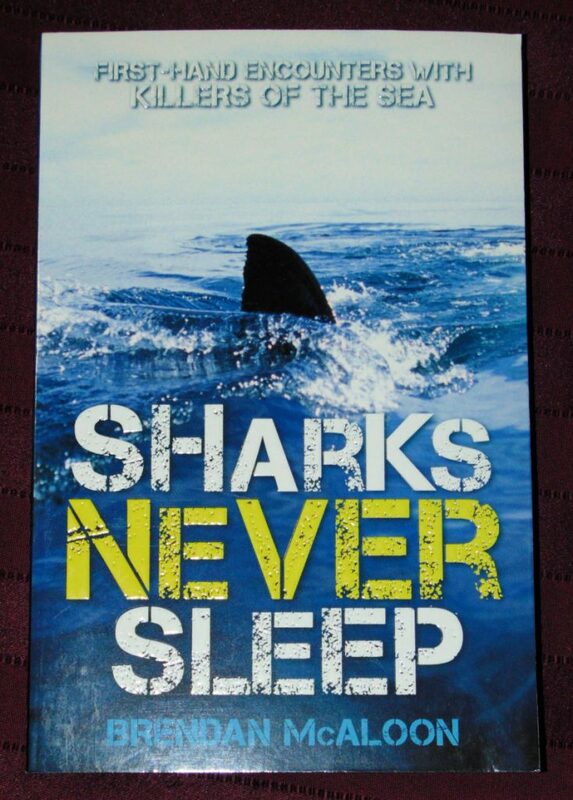 This book would be a great addition to a study on sharks. Helping the student see in stark detail why this is such a divisive topic. It’s not what I call an easy read. It’s not fun to read about men who hunt sharks with delight, nor to read about sharks that kill. Is it necessary? Yes, because that is how we broaden our understanding of the issues surrounding sharks and shark attacks. Click on image for amazon link. Do you have a person in your life who likes dinosaurs? Well.. I have this GREAT book for you today. Seriously, Lonely Planet Kids has done an amazing job with Build your Own Dinosaur Museum. 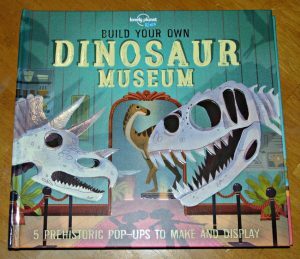 In it you will find 5 prehistoric pop-ups to make and display. 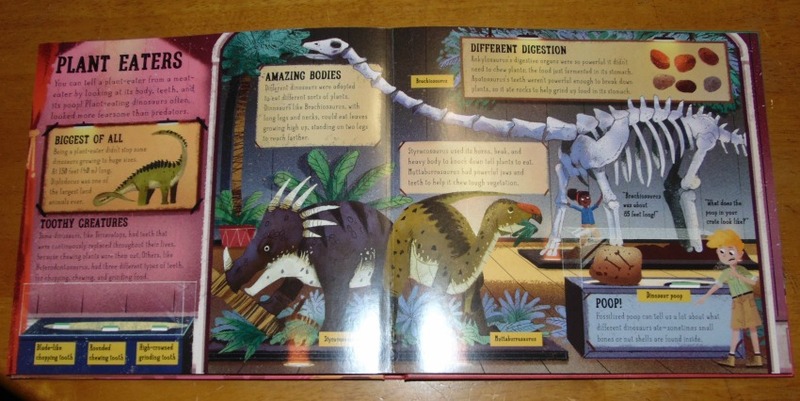 Loads of interesting facts pepper the pages as you uncrate dinosaur bones to build your very own dinosaurs. Calling all dinosaur experts! We need your help. We have just received a crate of dinosaur fossils – and they need assembling! Fast! Can you find the right room for each skeleton and build them in time for the museum’s big opening? There are five pop-up dinosaurs to put back together, including a Triceratops, Stegosaurus and T-rex. It’s going to be roar some! 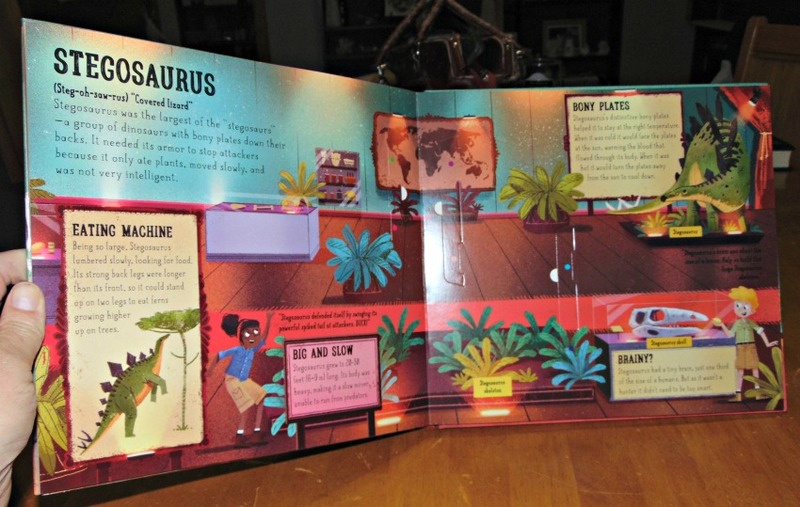 Lonely Planet’s Build Your Own Dinosaur Museum is an activity book with a difference, where you get to play chief paleontologist. The museum rooms are ready, but there aren’t any skeletons to display. It’s up to you to figure out which one is which and where they need to go. 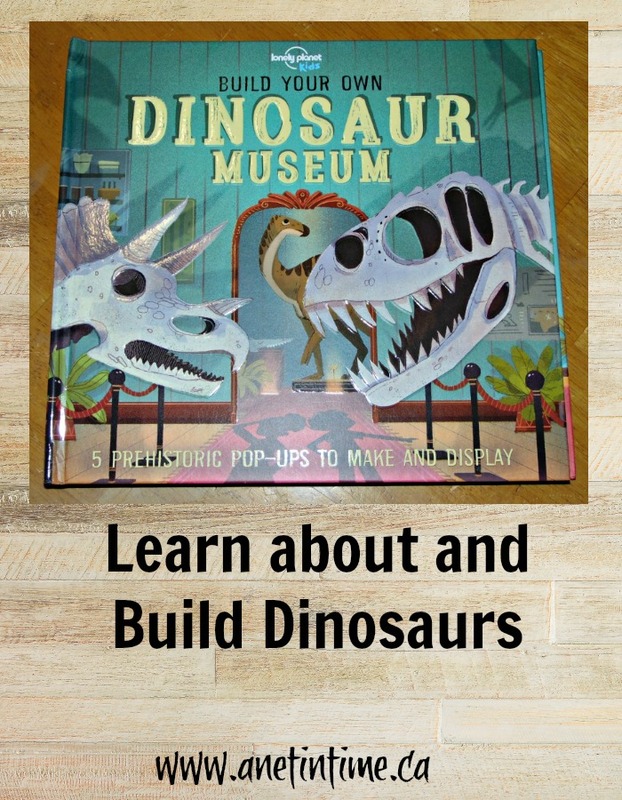 Fun, interactive and with lots of facts to discover, this book is perfect for any dinosaur fan, budding biologist or model maker. When I opened this hardcover book I discovered several pages in the front of the book that were taped securely closed. Being the curious duck that I am I immediately opened up the tape. By the way, the tape sticks over and over and over again. I tested it about 15 times and then my lad did a couple more times for good measure. These pieces are colour coded and easy to tear out. They also give instructions so you know which page goes with what display page. 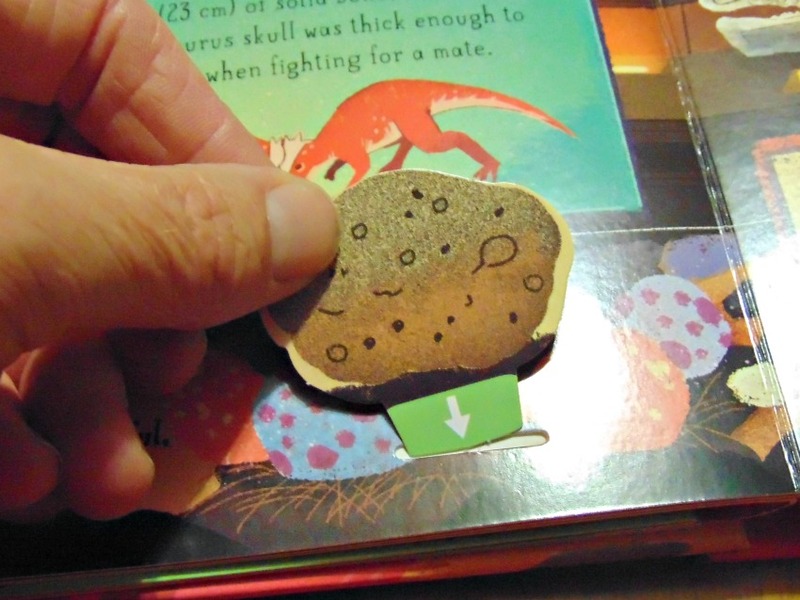 The pieces have bends in them so once you put them in the book they will indeed pop-up. This is excellent for young dinosaur enthusiasts. It does follow the evolutionary theory of the earth’s development, and how animals came into being. 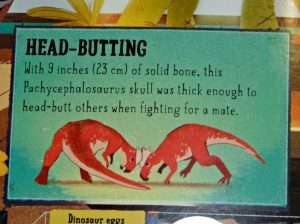 I find this is pretty normal with most dinosaur focused books. I learned many new facts like did you know there was a triceratops group? This is a group of dinosaurs with a similar head shape but the horn count was different! I learned how some dinosaurs found safety in numbers, and some dinosaurs were like ostriches…dependent upon their speed to elude predators. Five of the pages were dedicated to the pop-ups, where-as other pages had spots for adding in interesting details, like this egg. There are so many builds for the dinosaur enthusiast, they should be kept busy learning and playing for a good amount of time. The great thing is, the text is interesting enough they they’ll keep coming back to it to read it again. I am enamoured with this book, there is so much information, and so many things to keep busy hands well… busy, it’s just great! From a homeschoolers’ perspective this book would be an excellent addition to a dinosaur unit. Helping students to hone their attention on five specific dinosaurs and learn how they were put together. Big bones, small forearms, land moving, earth shakers, flyers and more. This book is a perfect companion to Dinosaur Devotions that I reviewed last week. AND.. if you are a member of SchoolhouseTeachers there is a great dinosaurs and the bible program you could work through. Seriously, you should invest in it, it has so many programs that would be helpful to you and your students it’s amazing. 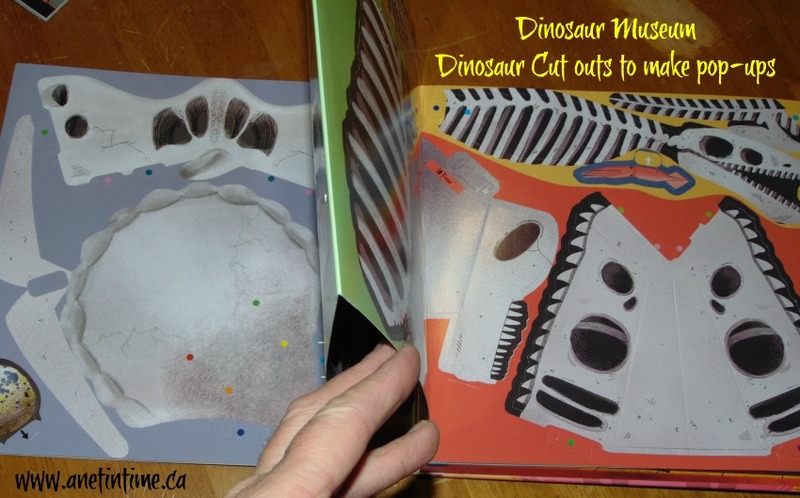 BUT anyways, Build your Own Dinosaur Museum is a must have for the young dinosaur enthusiast in your home. It would make an excellent Christmas present don’t you think? Today my son and I joined other members of the HOPE group to see a police dog demonstration. We got to meet Jack and his Handler Jackie. She is the smallest dog handler and has the largest dog in this area. She talked with us about the work that Jack does with her, his training, his likes and dislikes and demonstrated some of his skills. 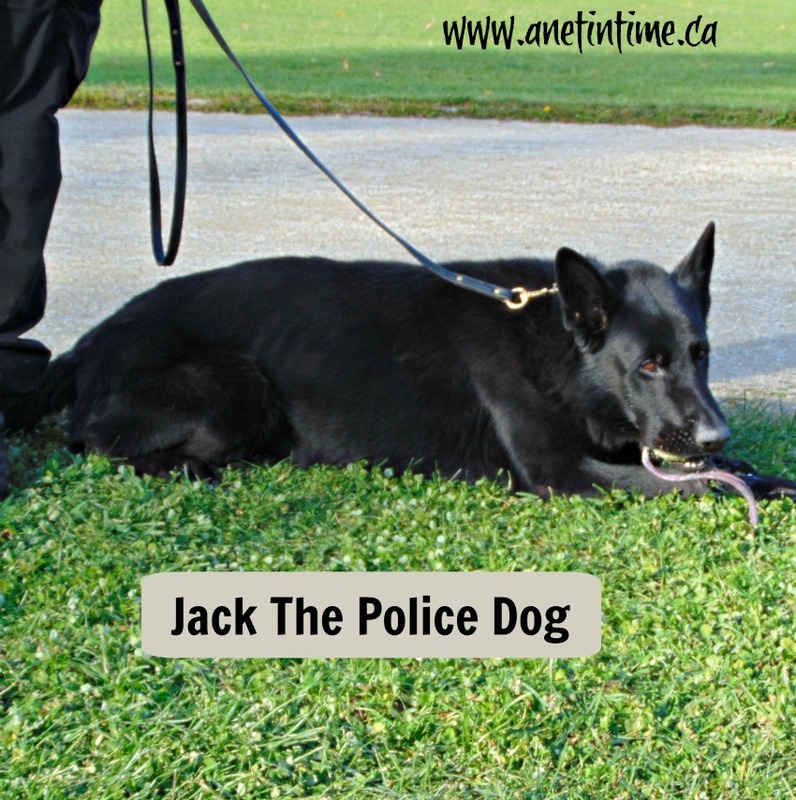 Jack spends most of his time during general duties – going on patrol, clearing houses, looking for people, and other such normal activities for a police dog. He has also been trained in drugs and one other thing… bombs I think. My memory isn’t completely clear. Came from Czechoslovakia when one year old $10,000. They work with European breeders because they need the pedigree of solid working dogs with good noses. His handler did all the training with him. Jack works for his toy (a ball with a rope on it). His ball is his “good job” marker. They are trained using positive reinforcement only. She trained Jack in London and returns there twice a month to maintain training. Carries a gun, pepper spray and a tazer. Tazers come with an inbuilt confetti that is marked with the number of the tazer. So forensics can always tell which tazer was used. The students (and some of the moms) asked good questions that ranged from size of Jack (75-90 lbs), to ammunition needed (carry two clips with 14 bullets), to items they need to carry. The fun of trying to keep with a dog who can clear a 10 foot fence. Jack is currently the largest dog in the London, St. Thomas, St. Mary’s and Stratford area. He is a black German Shepherd. He has had 6 apprehensions in his life. An apprehension is when a dog bites a suspect to hold them. They are trained to bite and hold rather than to bite and reposition. 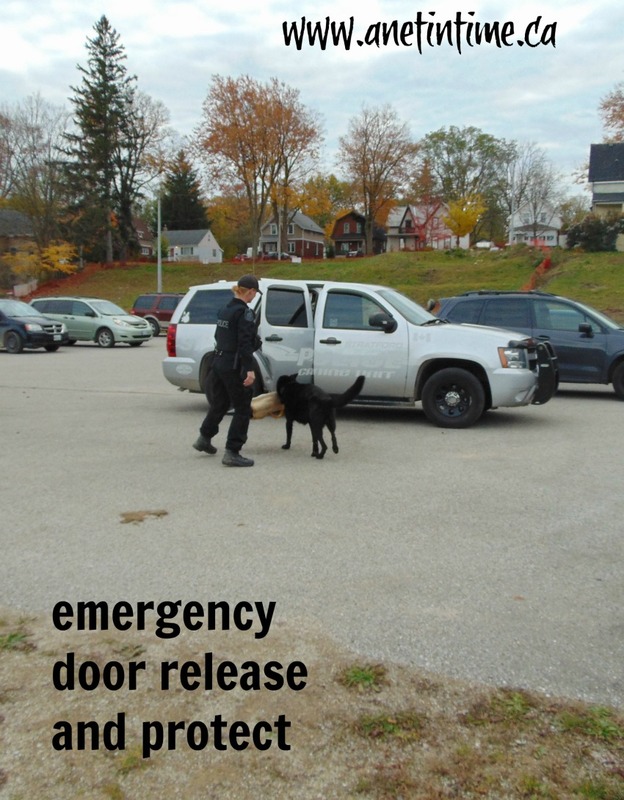 This training minimizes damage to the suspect. She helped us understand why a police dog can clear a house quicker than a person can. Having a powerful nose lets them know if a person is hiding in a room even if a door is shut and locked. Means the officer doesn’t have to wait for a key to gain entrance nor do they have to search every cubby, closet or even the ceiling. 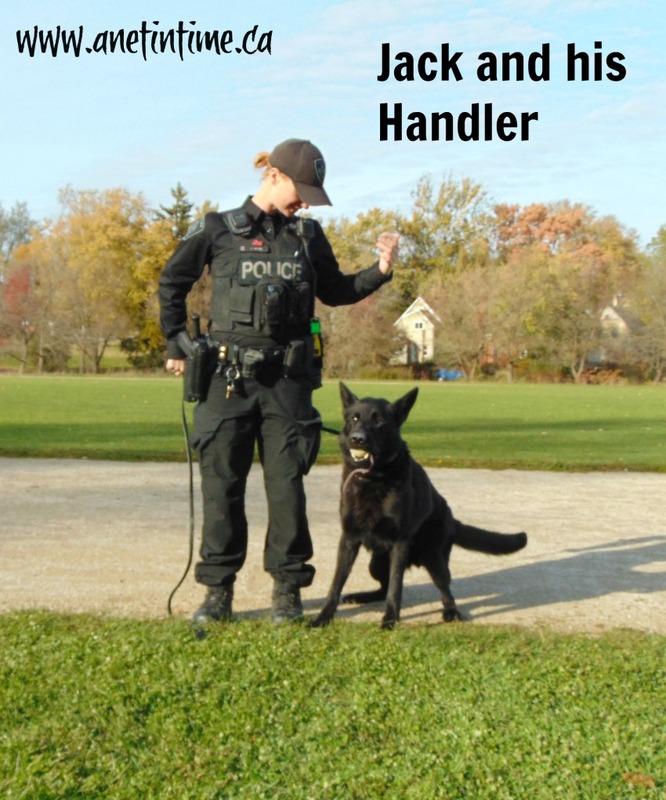 His handler was pleased to show us some of Jack’s skills. He SO loves his ball and watched it eagerly be tossed away and did everything he was supposed to before he finally was able to keep it. He ran through his exercise twice showing off different skills I only caught the first part on camera. His handler ended up being called back to duty, but before she headed off, we were shown a secret from the police car. She has a button on her suit that can remotely open the back door of the vehicle. Jack is trained to burst out in full protection mode. Unfortunately Jack got the protection sleeve off his handler before I got the camera out and snapping a pic. We learned that Jack lives with his person 24/7. At night he has an outdoor kennel that keeps him comfortable. The police vehicle is equipped with Jack in mind, with a temperature controlled environment and everything. It was a great demonstration and I’m glad we went. My son has this thing for bugs. He thinks they are such interesting little critters. Today he was researching flies since he found one that was green! 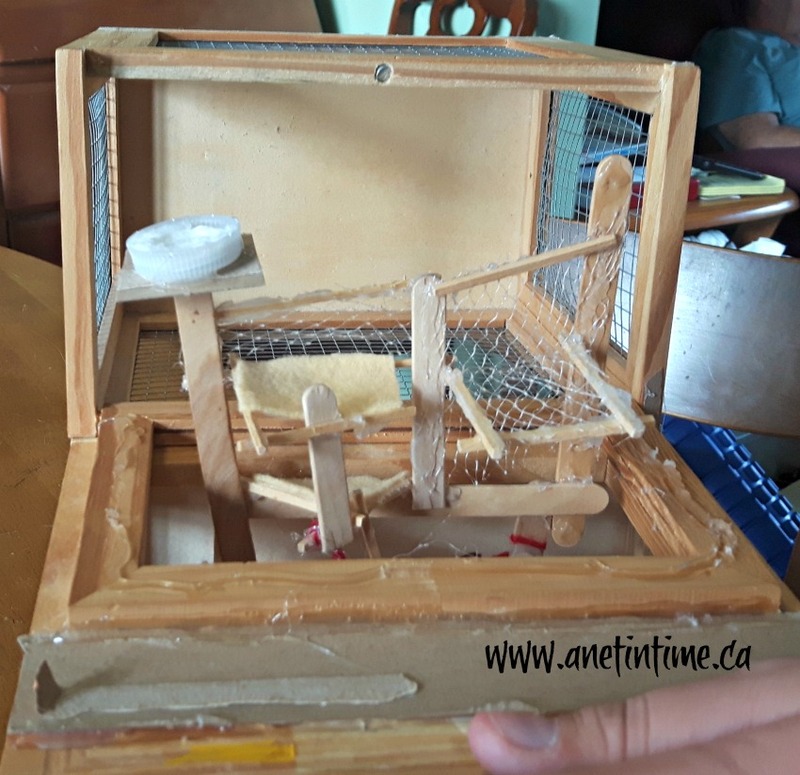 He learned that the iridescent ones I am catching on the fly paper in the rabbitry are bot flies. We haven’t figured out what type of fly it is yet. We were fascinated by a tiny spider we discovered Monday, that looked a bit like sparrow poop! It was a fascinating little spider and I tried mightily to get a video of it but just couldn’t get it to come in clearly. Anyways, this lad has shown me his heart in the care he bestows upon these wee ones of creation. He researches and studies, he’s learned where to ask questions, and he spends so much time looking and watching and learning. He’s lately starting to gravitate toward ants and recently captured a wild carpenter ant colony. He’s checking it regularly to see if he can find the queen. If he has the queen he’ll have a long working colony. This post isn’t about ants though! 🙂 It’s about my lad’s heart and his love of the creepy crawlies in our world. I saw this clearly when he had discovered a stink bug in the house last fall. They don’t stay over the winter and tend to die off fairly quickly when frost hits. Occasionally they make their way into the house and we find them when we step on them (don’t do that by the way, they will live up to their name). Knowing this my son argued about the need to keep him in the house where it was warm. 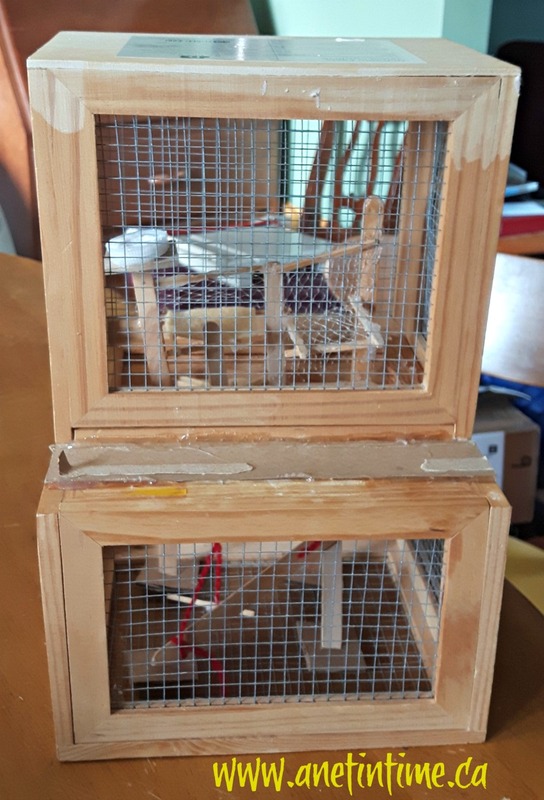 He didn’t bite, just a harmless fellow, so I said “sure, do what you can for him.” He found an old crate that we got some Easter bears in added popsicles sticks, bottle caps, felt and string to make a nice living area for a climbing bug. Anyways, this green fellow intrigued my lad, so he figured out how to care for him, and built it a habitat. He fed it a variety of food – predominately apples, oranges, some pomegranate, tomatoes and lettuce. 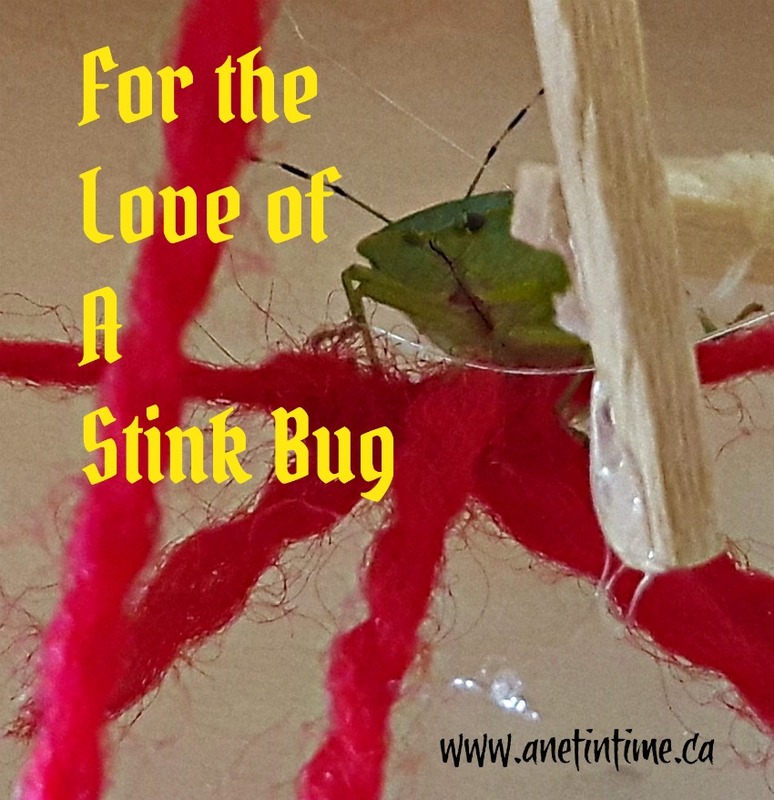 That wee stink bug kept going over most of the winter. Interested in doing your own insect research? Discover the fascinating world of insects! SchoolhouseTeachers.com also has a bug class. Did you know that right now if you become a member you can get two years for the price of one? I KNOW! It’s an amazing deal. School for your whole family for one low price! Imagine, you are driving down the road, and like any other day you see a piece of roadkill lying there. But today is different than any other day, today you think.. oh.. I wonder, I wonder why that animal died, I wonder just how a snakes fangs work, so you pull off the road, pick up that dead snake and take it home with you. And thus a love of roadkill and all it can teach you is born. 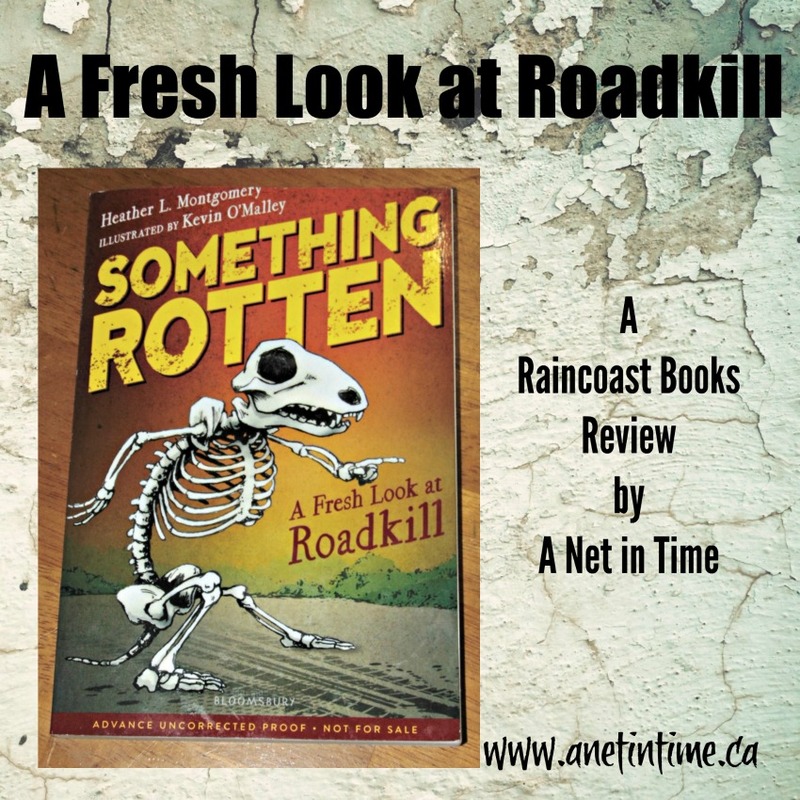 Learn of this fascination in Something Rotten, my latest review from Raincoast books. Heather Montgomery walks us through the intriguing world that is roadkill, taking us through learning about parasites released Burmese pythons are giving to the native snake population (not a good thing), we learned about how red wolves might not actually be wolves but be a combination of coyote and wolf genetics, and how the Tasmanian devil is helping people. 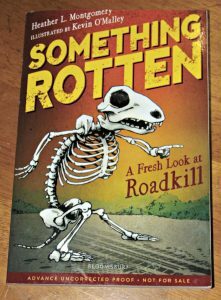 Roadkill has never entered my radar of being a fascinating study until I read this book and then it was a like a whole new world opened up for me. The things to learn, the use that scientists can put them, and how they benefit the living, not only of their own species but in the lives of other living beings as well. It is simply amazing. When you add up the amount of animals killed on the road it’s a staggering amount, then think of all the people involved in those kills and how some of them will be injured or lose their lives. Roadkill becomes a serious matter. It’s no small wonder that more and more animals bridges and underpasses are being built. So what do you get? Eleven chapters, 176 pages, text written with the middle schooler in mind, black and white images, and a fascinating look into the world of dead animals and scientists from around the world. She includes a section on steps people can take to save lives as well, which includes projects that people of all ages can take part in. When I got the book I thought I would be bored out of my mind. 🙂 Like seriously ROAD KILL????? 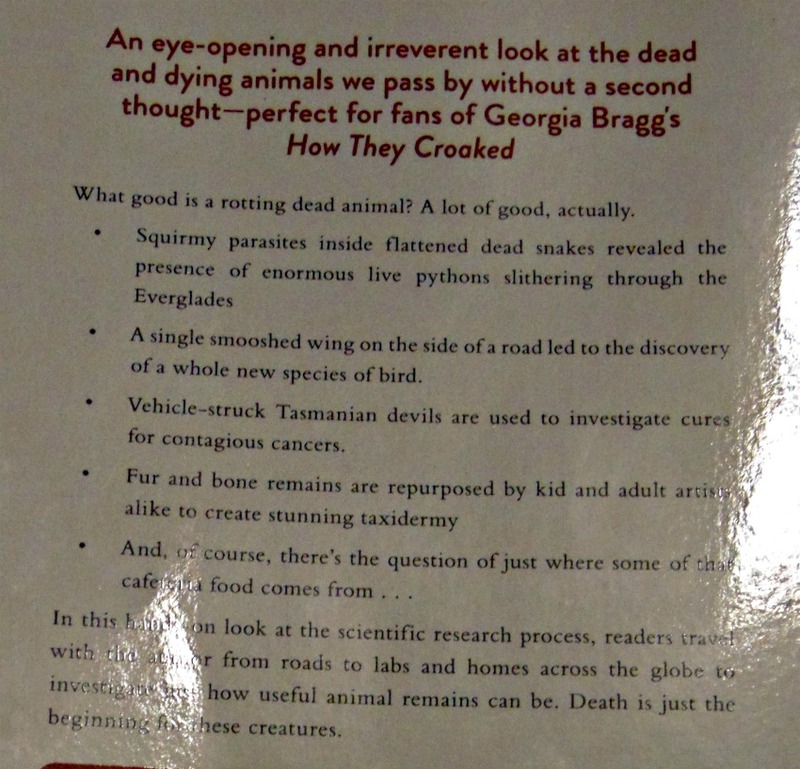 What in the world could be remotely interesting about roadkill? Then something good happened, I got hooked. 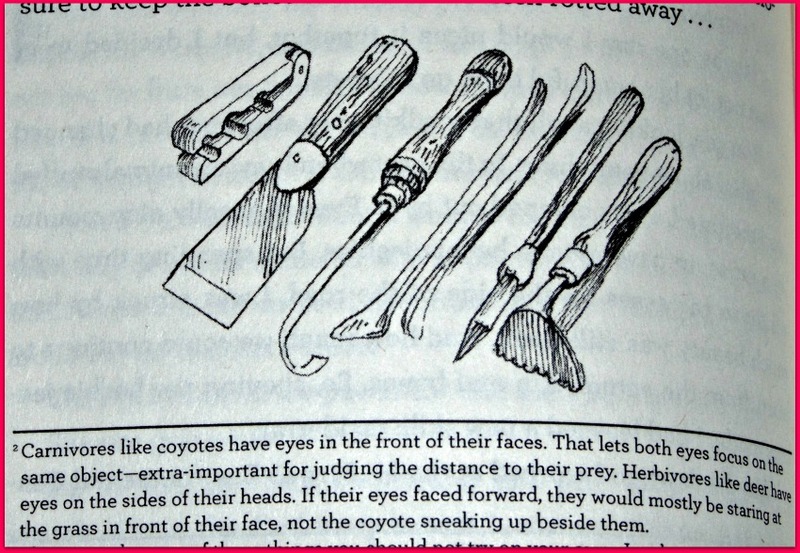 Somewhere between learning how snakes fangs fold and coyotes I got hooked. I wanted to know what new and amazing thing she would discover next. Every time she turned a new corner I wanted to know more. I was occasionally surprised like learning that throwing food out the window is a REALLY bad idea. It teaches animals to come to the road for food and while there, what do you think happens? Death to the animal and potential injury to other people. Do you want to be responsible for that? I don’t. I’ll save that apple core to toss at home eh? Won’t you? Another surprise was learning about a contagious cancer! Who would have thought!?!?!?! Totally surprised me. Now this book is not for the faint of heart. If you are easily grossed out or can’t handle anatomical descriptions, it’s not the book for you. But if you have an inquiring mind and are fascinated by all things animal and don’t mind a bit of messiness (which by the by isn’t over the top but it is factual) this is an extremely interesting book. I’ll be adding it to the pile of books my lad will be reading, and guessing it won’t take him long to go through. If Polar Bears Disappeared is a full coloured, picture book that is guaranteed to delight your children as they learn about the world’s biggest bear and what might happen if they disappeared. Join me as I review this great publication from Roaring Brook Press. Geared for children 4-8 years old, this book will be a great introduction to the topics of global warming, endangered animals, life in the north and the food chain. 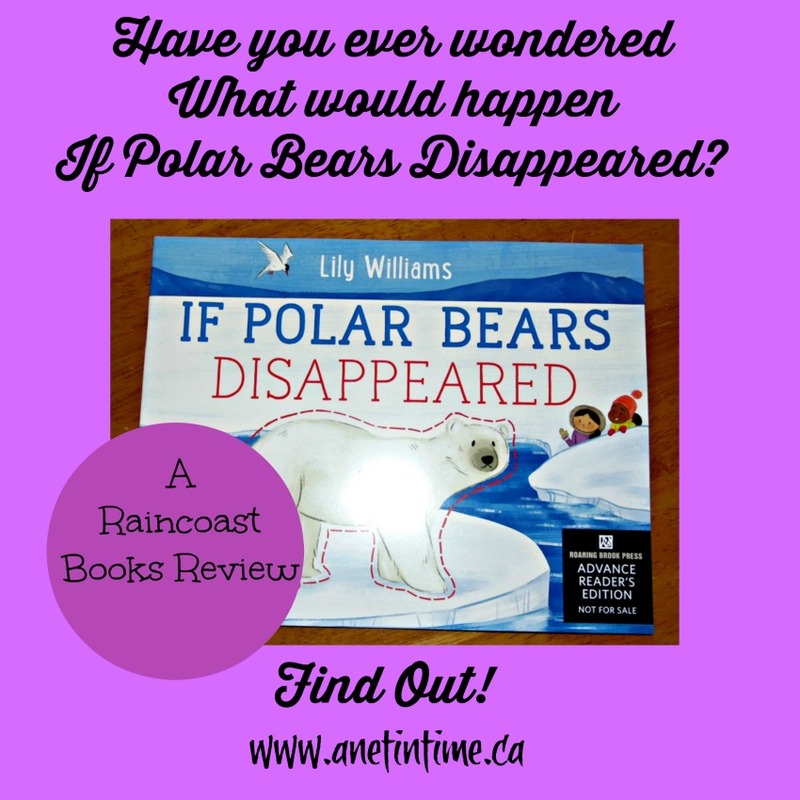 Lily Williams asks this important question: What would happen if polar bears disappeared? Have you ever thought through what might the end result be of such a horrible loss? Imagine the beauty and power gone from the earth! The beautifully illustrated pictures bring to life the wonders of the Artic, a place where polar bears, seals, caribou, lichen, and more live. We are drawn through a world where if too much ice melts in the Artic, even life in the desert will be affected. So if we learn how to save the polar bears… perhaps we can learn how to save the whole earth? Even though I am not an advocate for global warming or old-earth teaching, there is much in If Polar Bears Disappeared that I simple adore. 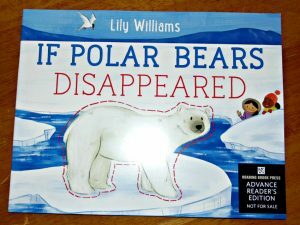 I love how author Lily Williams pulls in all the different aspects of life on earth that could be affected if Polar Bears Disappeared. I urge you to get this book if you are learning about endangered animals, the food cycle or just trying to teach your students the importance of all the varied life on earth. I am centered by the love of God and family. Smiles are brought about being a Writer, Poet, Hiker and reader. Growth occurs as I educate my son, raise him up in the fear of the Lord, love up on my critters and live as a pastor’s wife. Subscribe and I’ll shoot you an email once a week.